Comes in a package of 100 beadcaps. These beadcaps measure 9mm. Comes in a package of 20 bead-caps. These bead-caps measure 10x11mm and the inside measures 9mm. These findings measure 10mm long by 10mm wide and the hole measures 1.5mm. These bead-caps will fit 10-12mm round beads. These findings are made of solid copper and were made in Indonesia. There are 16 of these solid copper findings in a package. These findings measure 10mm long by 12mm wide by 2mm thick and the hole measures 4mm in diameter. The inside diameter of these findings measures 9mm. These findings were made in Indonesia. These findings are NOT bendable. These findings measure 5mm long by 11mm wide by 1mm thick and the hole measures 3mm in diameter. These bead-caps will fit 10mm-11mm round beads. These findings were made in Indonesia. These findings are NOT bendable. These findings measure 5mm long by 11mm wide by 1mm thick and the hole measures 2mm in diameter. These bead-caps will fit 10mm-12mm round beads. These findings were made in Indonesia. These findings are NOT bendable. Comes in a package of 50 bead-caps. These bead-caps measure 14mm. Comes in a package of 50 beadcaps. These beadcaps measure 8mm. Comes in a package of 12 bead-caps. These bead-caps measure 40x9mm. Comes in a package of 12 beadcaps. These beadcaps measure 40x9mm. Comes in a package of 40 bead-caps. These bead-caps measure 12mm. These beadcaps measure 5mm long by 10mm wide and the hole measures 1.5mm. These beadcaps will fit over 8mm - 10mm beads. There are 50 beadcaps in a package. These beadcaps are made of an antique silver plated base metal alloy. These findings measure 55mm long, including the loop, by 19mm wide. The loop measures 2mm. 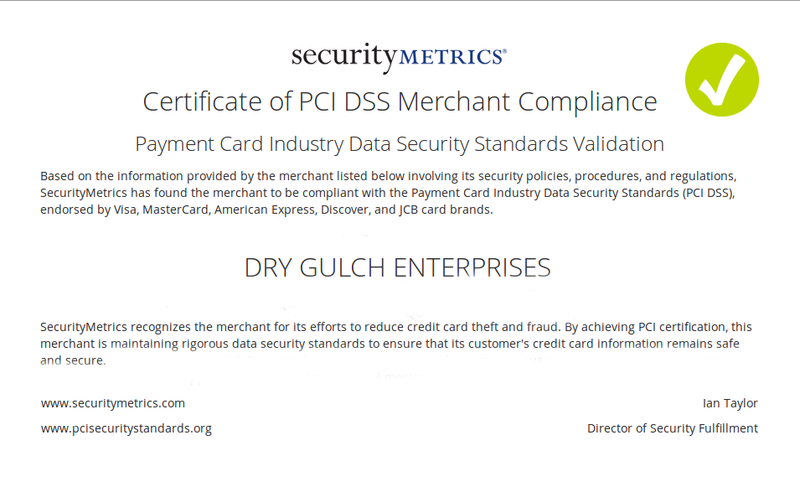 These findings are made of a lead-safe base metal alloy. These findings measure 6mm long by 8mm wide and the hole measures 2mm. These bead-caps will fit 3mm thick rectangle beads. These findings are made of solid copper and were made in Indonesia. There are 10 of these solid copper findings in a package. Comes in a package of 20 beadcaps. These beadcaps measure 8mm. The ring measures 22mm long, including the loop, by 18mm wide by 1mm thick and the loop measures 1mm. The bar portion measures 26mm long by 4mm wide by 1mm thick and the loop measures 2mm. These findings were made in Indonesia. These findings measure 9mm long by 4mm wide and the hole measures 2mm. These bead-caps will fit 8mm-9mm round beads. These findings are made of solid copper and were made in Indonesia. There are 20 of these solid copper findings in a package. Comes in a package of 60 bead-caps. These bead-caps measure 9x6mm. These findings measure 4mm long by 9mm wide by 1mm thick and the hole measures 2mm in diameter. These bead-caps will fit 7mm-8mm round beads. These findings were made in Indonesia. These findings are NOT bendable. These findings measure 3.5mm long by 9mm wide and the hole measures 3mm. These bead-caps will fit 8-10mm round beads. These findings are made of solid copper and were made in Indonesia. There are 20 of these solid copper findings in a package. Comes in a package of 30 bead-caps. These bead-caps measure 10mm. Comes in a package of 20 bead-caps. These bead-caps measure 10x11mm. Comes in a package of 50 beadcaps. These beadcaps measure 6mm. Comes in a package of 20 bead-caps. These bead-caps measure 23x8mm. These bead caps measure 17mm long by 22mm wide and the hole measures 2.5mm in diameter. These bead caps measure 20mm long by 20mm wide and the hole measures 1mm in diameter. 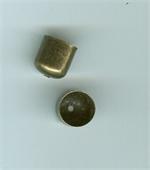 The inner diameter of the bead cap measures 10mm. These bead caps measure 14mm in diameter by 4mm thick and the hole measures 2mm in diameter. The inner diameter measures 10mm. Comes in a package of 20 bead-caps. These bead-caps measure 8mm. These beadcaps measure 9mm long by 8mm wide by 1mm thick and the hole measures 1mm. 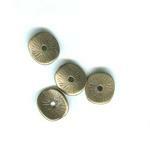 These will fit beads that measure 8mm in diameter. There are 60 beadcaps in a package. These beadcaps are made of an antique copper plated base metal alloy. The bead caps measure 9mm long by 10mm wide by 1mm thick and the hole measures 1.5mm. The inside hole measures about 8mm in diameter. These bead caps are perfect for tassels. There are 30 bead caps in a package. The bead caps measure 11mm long by 110mm wide by 6mm thick and the hole measure 1mm in diameter. The inside hole measures about 6mm in diameter. There are 30 bead caps in a package. These findings measure 13mm long by 13mm wide by 2mm thick. 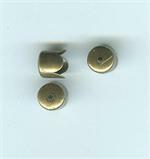 These beadcaps will fit beads up to 10mm in diameter The hole measures 2mm. The bead caps measure 20mm long by 15mm wide by 1mm thick. The inside hole measures about 6mm in diameter. These bead caps are perfect for tassels. There are 3 bead caps in a package. Comes in a package of 10 bead-caps. These bead-caps measure 8x6mm and the inside measures 5mm. Comes in a package of 6 findings. These findings measure 18mm long by 15mm wide. 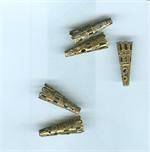 These findings are made of an antique brass plated base metal alloy. Comes in a package of 40 bead-caps. These bead-caps measure 14mm. Comes in a package of 6 bead-caps. These bead-caps measure 8x7mm. The inside measures 8mm. These bead-caps are gold plated solid copper. Comes in a package of 10 bead-caps. These bead-caps measure 8x7mm. The inside measures 5mm. Comes in a package of 40 bead-caps. These bead-caps measure 11mm. Comes in a package of 40 bead-caps. These bead-caps measure 10x11mm. Comes in a package of 10 bead-caps. These bead-caps measure 12x9mm. Comes in a package of 10 bead-caps. These bead-caps measure 11x9mm and the inside measures 8mm. Comes in a package of 10 bead-caps. These bead-caps measure 12x9mm. The inside measures 8mm. Comes in a package of 10 bead-caps. These bead-caps measure 8x9mm. Comes in a package of 10 bead-caps. These bead-caps measure 8x9mm and the inside measures 6mm. Comes in a package of 12 bead-caps. These bead-caps measure 25x29mm. Comes in a package of 10 beadcaps. The caps measure 25x29mm long. These caps are silver plated over a base metal mix. Comes in a package of 100 beadcaps. These beadcaps measure 5x6mm. Comes in a package of 30 beadcaps. These beadcaps measure 7x9mm. Comes in a package of 10 beadcaps. These beadcaps measure 12x7mm, the hole measures 5mm and the rhinestone setting holds 1mm crystal point-backs. Comes in a package of 6 beadcaps. These beadcaps measure 12x10mm and the hole measures 2mm. Comes in a package of 6 beadcaps. These beadcaps measure 10x8mm and the hole measures 2mm. Comes in a package of 4 beadcaps. These beadcaps measure 23x20mm and the hole measures 3mm. These caps will fit a 16.5mm bead. Comes in a package of 4 beadcaps. These beadcaps measure 29x18mm and the hole measures 3mm. These caps will fit a 13mm bead. Comes in a package of 12 beadcaps. These beadcaps measure 20x18mm and the hole measures 2mm. Comes in a package of 50 beadcaps. These beadcaps measure 13x8mm. These beadcaps will fit a 10mm bead. These findings are silver plated over a base metal mix. Comes in a package of 100 beadcaps. These beadcaps measure 8mm. Comes in a package of 40 bead-caps. These bead-caps measure 8x6mm. These findings measure 12mm long by 12mm wide by .5mm thick. these findings will fit 6mm beads. There are 12 findings in a package. These findings are made of solid brass. These findings are NOT bendable. The findings measure 5mm long by 12mm wide by 2mm thick. The hole measures 4mm. These bead caps will fit on 10mm - 13mm round beads. There are 16 findings in a package. These findings are made of solid brass and were made in Indonesia. These findings measure 3mm long by 15mm wide and the hole measures 2mm. These bead-caps will fit 10mm-12mm round beads. These findings are made of solid brass. There are 50 of these solid brass findings in a package. These findings measure 3mm long by 9mm wide and the hole measures 2mm. These bead-caps will fit 8mm-10mm round beads. These findings are made of solid brass and were made in Indonesia. There are 20 of these solid brass findings in a package. These findings measure 7mm long by 12mm wide and the hole measures 2mm. These bead-caps will fit 11mm-12mm round beads. These findings are made of solid brass and were made in Indonesia. There are 20 of these solid brass findings in a package. These findings measure 2mm long by 10mm wide and the hole measures .5mm. These bead-caps will fit 10mm-12mm round beads. These findings are made of solid brass and were made in Indonesia. There are 20 of these solid brass findings in a package. These findings measure 3mm long by 11mm wide and the hole measures 4mm. These bead-caps will fit 10mm-12mm round beads. These findings are made of solid brass and were made in Indonesia. There are 16 of these solid brass findings in a package. These findings measure 4mm long by 8mm wide and the hole measures 3mm. These bead-caps will fit 8mm-10mm round beads. These findings are made of solid brass and were made in Indonesia. There are 20 of these solid brass findings in a package. These findings measure 3mm long by 9mm wide and the hole measures 2.5mm. These bead-caps will fit 8mm-10mm round beads. These findings are made of solid brass and were made in Indonesia. There are 30 of these solid brass findings in a package. Comes in a package of 10 bead-caps. These bead-caps measure 12x9mm and the inside measures 8mm. Comes in a package of 10 beadcaps. These beadcaps measure 12x9mm and the inside measures 8mm. Comes in a package of 3 beadcaps. These beadcaps measure 17x15.5mm and the hole measures 2.5mm. Comes in a package of 30 beadcaps. These beadcaps measure 10mm. Comes in a package of 60 bead-caps. These bead-caps measure 9mm.